I’ve had impossibles on the mind lately. Maybe it’s the Bowerbank vs. Cepeda battle (spoiler alert: Bowerbank can impossible in either stance). Maybe it’s pining for the good old days of Ed Templeton’s impossible tailgrabs. Maybe it’s still being stuck in a haze of wondering how Dylan Rieder was able to impossible over the terrifyingly high LES benches. Maybe it’s watching Walker Ryan bust them switch like it’s nothing. Or maybe it’s watching Rodney Mullen explain the physics of various tricks and discussing the physics of the nollie impossible (on paper, I guess it makes sense, but come on…). While I’ve never had a beautiful impossible—mine fall in that ambiguous three-shuv territory—the key is of course to wrap the board around the foot. Regular, switch, nollie, fakie… the key is always the wraparound (something you’ll no doubt see even when Dave Mayhew does it out of a tailslide or Mike Carroll does it out of a back Smith). 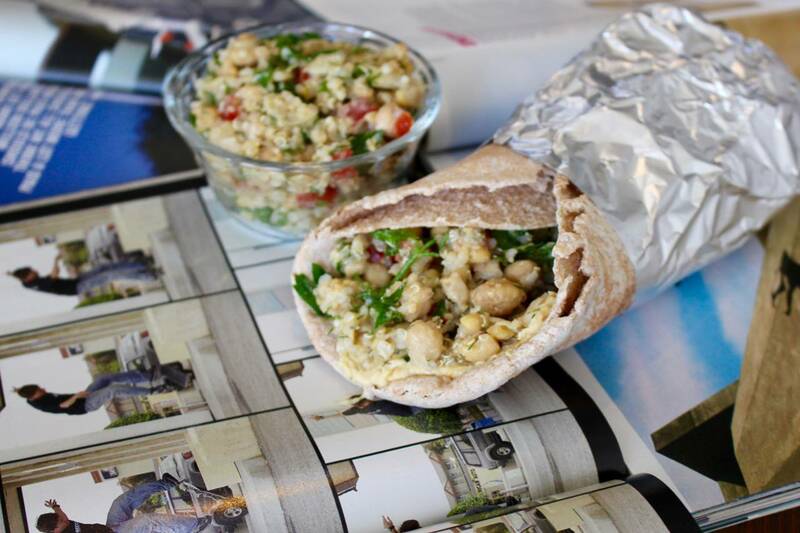 Well, while the wraparound may be elusive to some, this week’s recipe is a wrap that anyone can master. I’ve been making some wicked tabbouleh lately from Thug Kitchen 101, and started making these wraps as a post-sesh meal laden with protein and carbs. 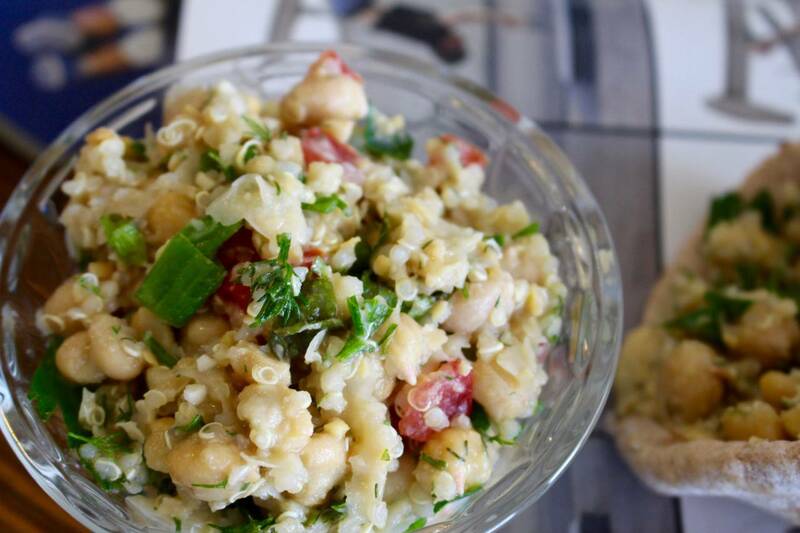 If you’ve never tried tabbouleh, it’s a grain and herb salad that originated between Syria and Lebanon. Typically made from bulgur wheat, dill, and parsley, it’s a fantastic dish when served with hummus and pita. 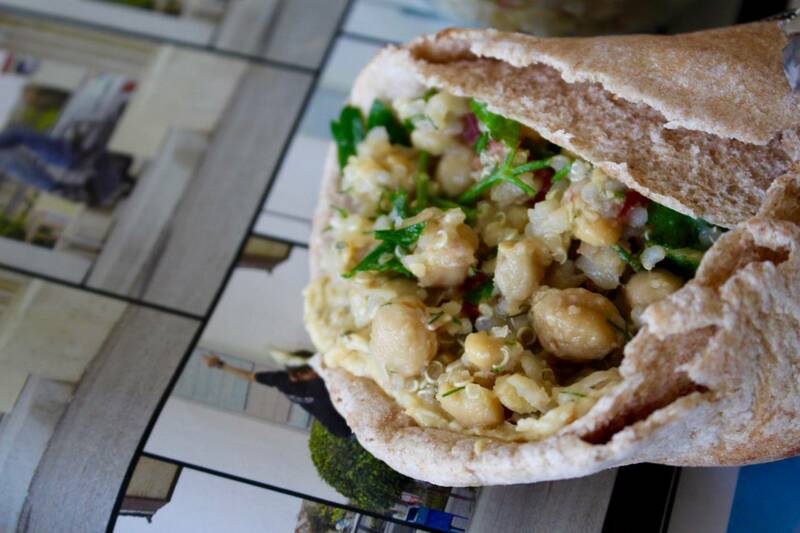 On its own, it’s a great source of recovery carbs, but if you want to get some protein in there, this recipe subs quinoa and chickpeas for bulgur, and then wraps it all with some white bean hummus (or any hummus you want) and whole wheat pita to finish the ensemble. How’s that for a wraparound? To make the tabbouleh, first toss the drained chickpeas in a large bowl and mash them up until it’s about 75% mashed with about 25% of the chickpeas remaining whole. Make sure your tomatoes and herbs are minced and then toss the rest of the ingredients in and mix it all up. To make the hummus, add the beans, lemon, cumin, garlic, tahini, and salt to a food processor. Blend it for about 30-45 seconds, drizzling the olive oil in slowly until the hummus thickens. Add extra salt and cumin to taste. 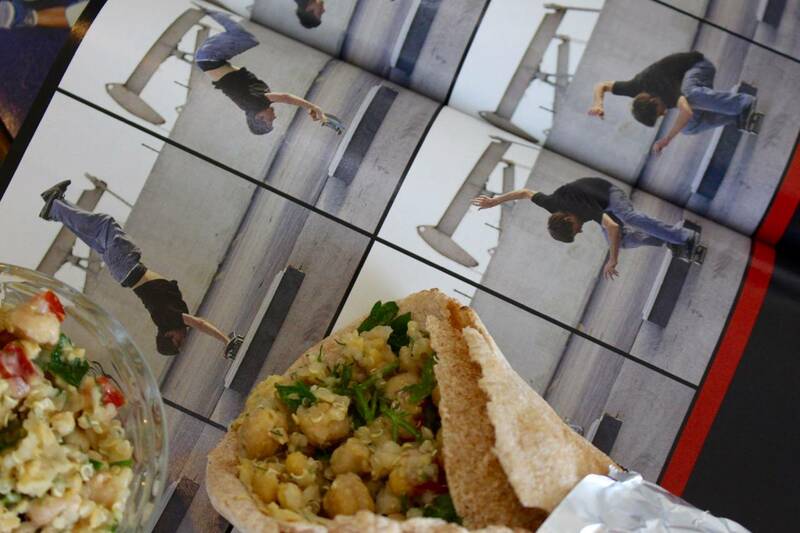 Grab a pita, slather on some hummus, heap on some tabbouleh. and then wrap it like only Mullen can.